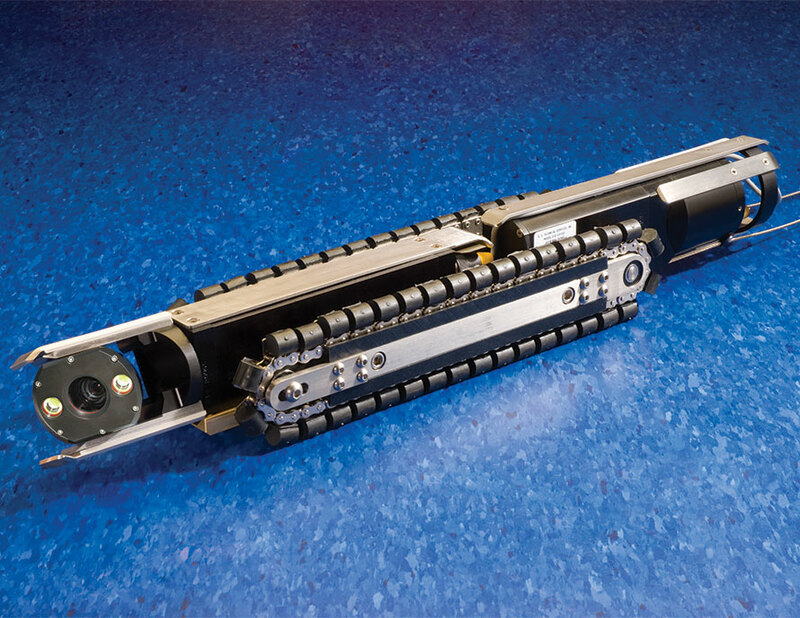 Mainline crawler transporters are designed to carry the OmniEYE 3 Zoom Camera and TrakSTAR Camera and are available in both single and multi-conductor configurations. They operate in line sizes from 6” to 30” with axle and driveline extensions. The crawlers have three forward speeds, one reverse, a stop function and a freewheel mode for easy retrieval with travel speeds up to 55’ per minute at full power. Specially designed, contoured pads, attached with dual stainless steel rivets on stainless steel chain, provide a large contact surface for maximum traction. These crawlers are adaptable to all Subsite mainline systems. Shown here with the TrakSTAR Camera.